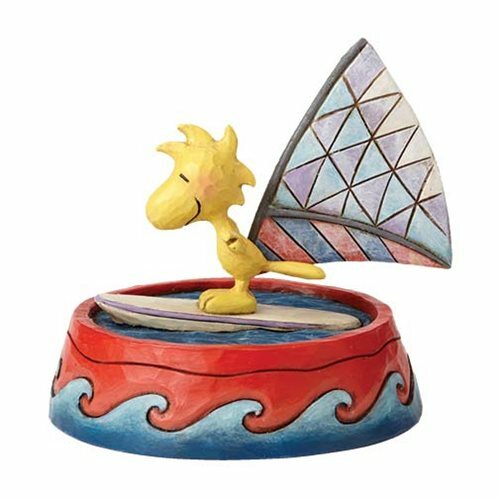 What better place for Woodstock to try his hand at windsurfing than in Snoopy's dog bowl? This charming design pairs the brightly feathered friend from Charles Schultz's Peanuts and the unique artistry of Jim Shore. The Peanuts Jim Shore Woodstock Windsurfing Statue is made of stone resin. Measures about 3 1/4-inches long x 3-inches wide x 3-inches tall.